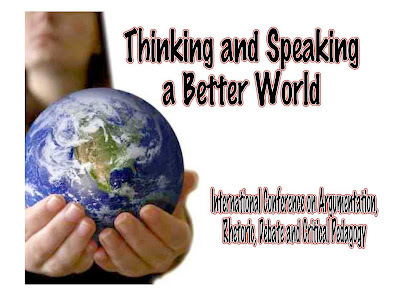 Thank you for being a vibrant part of our past conferences, THINKING AND SPEAKING A BETTER WORLD. We hope to have an exciting announcement about the next conference soon. As the school year winds down I have a bit more time, and during May I intend to spend a lot of time reviewing and editing manuscripts submitted for publication in the volume made possible by the generous support of QatarDebate and the Qatar Foundation. I am excited to be working with David Cratis Williams and Bojana Skrt on this effort. I want to give a special thanks to those who have already sent me the manuscripts of their presentations. Please send any and all manuscripts you would like to offer for publication in this volume to me at alfred.snider@uvm.edu . If I could have your document by the middle of May that would make things much easier. Please use either APA style or MLA style. Please send it to me as a Word document (.doc or .docx) or if you use a different word processor save the document as a rich text format document (.rtf) and send it on to me. I do not want to specify either how long or how short it can be, because if I have issues I will negotiate with you individually. Anything unpublished from the first three conferences are very welcome. Thanks again to Bojana Skrt, David Williams and our hosts for a job well done, and of course to QatarDebate. Lecture - More Debates in More Classrooms - Sam Greenland - 3rd Better World Conference 2010 from Alfred Snider on Vimeo. Sam Greenland is currently President of the World Universities Debating Council. Sam has debated for Oxford and has also been a successful schools coach, directing the Hong Kong team at numerous World Schools Debating Championships. Recently he has been representing the University of Sydney Union in competitions, and reaching the WUDC semifinals among other advanced elimination rounds. He has been very active in creating the standards for non-native speakers to participate in international tournaments such as the WUDC. 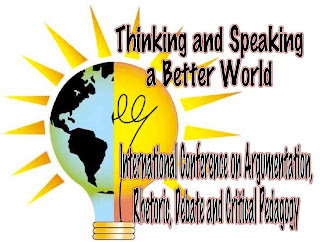 Sam has also been working on how debate can be used as a tool for teaching English and how debating improves the overall academic performance of students. Curriculum documents and broader educational statements place increasing emphasis on critical thinking and rich assessment tasks. Classroom debates have been used in a number of secondary and tertiary contexts to assess student performance against curriculum learning outcomes. However, a number of authors have questioned the worth of debating as a classroom activity, in part due to the low level of research on how it can be accurately assessed and on the extent to which debating does or does not favour certain pre-determined groups of students. 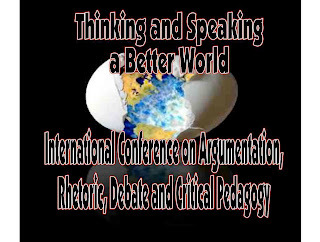 This keynote presents a new assessment tool for classroom debates aimed at teachers who are not themselves debating experts, and analyses the performance of that assessment tool when used in a number of classroom contexts in Hong Kong secondary schools. It further explores whether the data presented from those interventions supports claims made in the literature that debating is an activity biased in favour of students who are male, high academic achievers and with high levels of English literacy. The presentation finds that the new assessment instrument allows debating performance to be measured successfully by instructors in a classroom context. 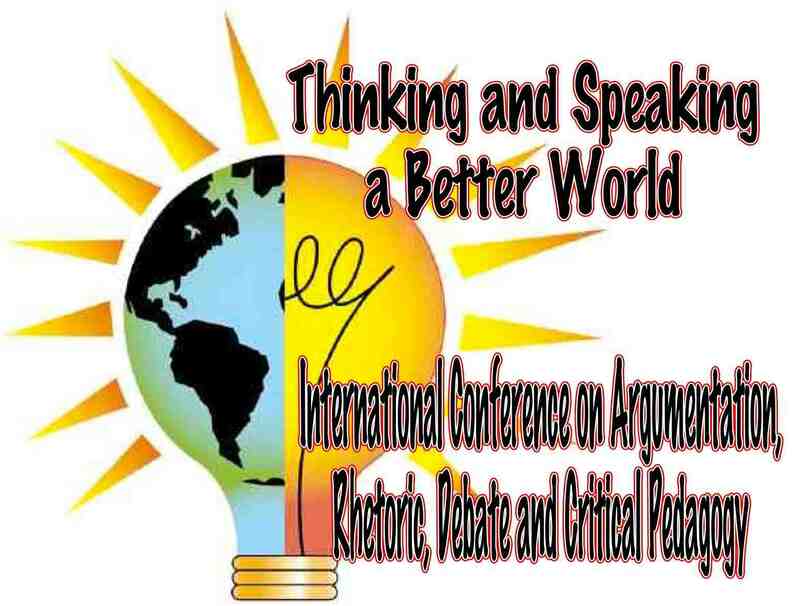 It also implies that debating does not possess the biases that some authors attribute to it, and therefore should gain wider acceptance as a useful classroom activity for developing and assessing critical thinking. It concludes with an exploration of the possible impacts of these results on classroom pedagogy and programme design for both curricular and extra-curricular activities. Panel - Cultural Variation, Debate and Argument - 3rd Better World Conference 2010 from Alfred Snider on Vimeo. Panelists: Abdul Gabbar Al-Sharafi, Yemen, Abdel Latif Sellami, Morocco, Maja Nenadovic, Hungary-Netherlands, Debbie Newman, UK, David Cratis Williams, USA and Masako Suzuki Takahasji, Japan. The event was moderated by Alfred Snider of the University of Vermont. 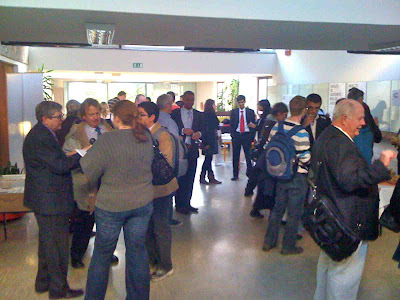 The Third International Conference on Argumentation, Rhetoric, Debate and the Pedagogy of Empowerment, Thinking and Speaking a Better World, concluded in Maribor, Slovenia on Sunday 24 October 2010. The conference featured scholars, experts and enthusiasts from nineteen countries. During the sessions there were over 50 papers presented on a variety of topics. There were two keynote speeches, one by Debbie Newman (former president of the Cambridge Union, England and Wales debate champion, former head of the English Speaking Union's Centre for Speech and Debate, and world champion schools coach for England) from the UK on "The Noisy Classroom" and one from Sam Greenland (Sydney University, WUDC semifinalist, current World Debating Council President) on "Measuring Debate's Impact on Classroom Performance." Eighty attendees spent three days sharing ideas, scholarship and fellowship while networking on future projects. A major panel discussion on "Cultural Variation - Debate and Argument" had participants from Yemen, Morocco, Hungary, Venezuela, Japan, UK and USA. There was a lavish banquet on Saturday night and productive discussions during the twenty panel sessions that were held. Papers from this conference as well as the 2006 and 2008 events will be published in a volume entitled Thinking and Speaking a Better World edited by Alfred Snider of the University of Vermont and David Cratis Williams of Florida Atlantic University due out at the end of 2011. Videos of many of the presentations, both keynotes, and the panel discussion on culture will be available in coming weeks at the conference websites. There will be an announcement soon about the fourth and next conference. The conference was organized by the Department of Philosophy, Faculty of Arts, University of Maribor in Slovenia uni-mb.si/​ , ZIP, Za in proti, zavod za kulturo dialoga/Pro et contra, institute for culture of dialogue zainproti.com/​ , and the World Debate Institute of the University of Vermont debate.uvm.edu/​debateblog/​wdi/​Welcome.html . The organizers are grateful for the support of our sponsor QatarDebate qatardebate.org/​ . The conference was organized by the Department of Philosophy, Faculty of Arts, University of Maribor in Slovenia http://www.uni-mb.si/ , ZIP, Za in proti, zavod za kulturo dialoga/Pro et contra, institute for culture of dialogue http://www.zainproti.com/ , and the World Debate Institute of the University of Vermont http://debate.uvm.edu/debateblog/wdi/Welcome.html . The organizers are grateful for the support of our sponsor QatarDebate http://www.qatardebate.org/ . Thanks to Department of Philosophy, Faculty of Arts, University of Maribor for Hosting! 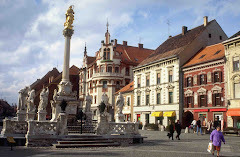 Image via WikipediaThe Faculty of Arts at the University of Maribor addresses three basic areas of study: the humanities, social studies, and teacher education or pedagogical studies. Students enroll in programmes which prepare them for pedagogical and nonpedagogical professions in disciplines developed by eleven departments offering both undergraduate and postgraduate study programmes. The faculty is firmly integrated into the system of European universities, and it cooperates with several well known universities and institutions of higher education in Europe. This assures compatibility of its study programmes, student and staff exchange and cooperation of professors and students in international study and research projects. Successful cooperation depends above all on a partnership relation founded on an equal basis which means that we receive benefits from our partners, but at the same time we need to offer them something in return. Yet we can only give if we are sufficiently interesting and especially if we have knowledge to offer. We need to bear in mind that only the creation of new knowledge brings results that will allow us to assert ourselves at home and abroad. The presence of the faculty on the international university stage enables collaboration and cooperation and demonstrates a commitment to the development of modern study programmes, which will be successful only if we know how to cooperate and together develop efficient study and research activities. International cooperation by the Faculty of Arts offers important educational, research and intellectual relationships within the common European university region - it connects the traditions of European university education with new demands framed by the Bologna process and shows how European tradition and the young Maribor University can successfully supplement each other. The Faculty of Arts is a recognized centre of development of the humanities and social sciences at the University of Maribor, a promoter of positive regionalism in the country, and open for cooperation with the best European faculties and universities. It develops and organizes study programmes and research activities in cooperation with home and European universities and academic institutions. 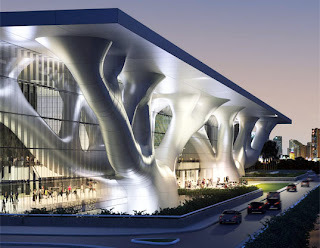 It offers its students an excellent education and professors good conditions for research and pedagogical work. A primary goal of the Faculty of Arts is to expand the research activities of its professors and to encourage their participation in international projects. International cooperation is a significant part of the University of Maribor's agenda on entering the European interuniversity market. The World Debate Institute [WDI] has been training people in the arts and skills of debating since 1982. It has trained many thousands of people in more than thirty-four countries and from more than fifty countries. It is a program sponsored by the University of Vermont. The purpose of WDI is to support a global network of debate activities, especially trainers who know what they are doing, have an established reputation and record, and are willing to go where there is not yet an active debating community and help establish or nurture one. The other purpose is to provide technical expertise and assistance to any new or developing debate program in the world. Use our 28 years of experience! Contact us at alfred.snider@uvm.edu . Our trainers are skilled and dedicated. They are authorized to carry out the training of students, teachers, trainers and organizers and grant them certificates bearing the authority and the imprint of the World Debate Institute, a globally recognized brand. They are devoted to this work not to earn money or fame, but to forward the belief that a global community that has vibrant debating and is populated and eventually run by those with a debating background will be more peaceful, more just and more conducive to the achievement of the human potential. QatarDebate is the National Debating Organization for Qatar and a member of Qatar Foundation for Education, Science, and Community Development in the aim of developing, supporting and raising the standard of open discussion and debate among School and University students in Qatar and across the Middle East, which contributes in shaping the Global Citizens of today and the intellectual leaders of tomorrow. History of QatarDebate QatarDebate is the National Debating Organization for Qatar and a member of Qatar Foundation for Education, Science, and Community Development. QatarDebate was established in September 2007 with the aim of developing, supporting and raising the standard of open discussion and debate among students in Qatar and across the Middle East, shaping the Global Citizens of today and the intellectual leaders of tomorrow. At an international level, QatarDebate selects and trains the Qatar National Debating team. The inaugural team attended the 2008 World Schools Debating Championships in Washington DC in September 2008, winning 4 of their 8 debates and setting a new world record as a first-time entrant to the competition in the process. The national team has subsequently attended the 2009 WSDC in Athens in February 2009, again winning 4 out of their 8 debates. In February 2010, QatarDebate hosted the 22nd World Schools Debating Championship (WSDC) in Doha from February 8, 2010 to February 18, 2010 with the participation of 57 countries. To date QatarDebate has trained over 7000 students in Qatar, regionally and internationally.